Businesses pop up everywhere with opportunities for entrepreneurs to take the leap. This can be challenging for former military personnel when transitioning. However, the leadership and drive they develop while in the military are the perfect fit for a franchisee. Here are the top veteran-owned businesses and franchises. Dream Vacations is a home-based travel agency franchise. This business works with clients to select destinations and helps them plan their vacations. 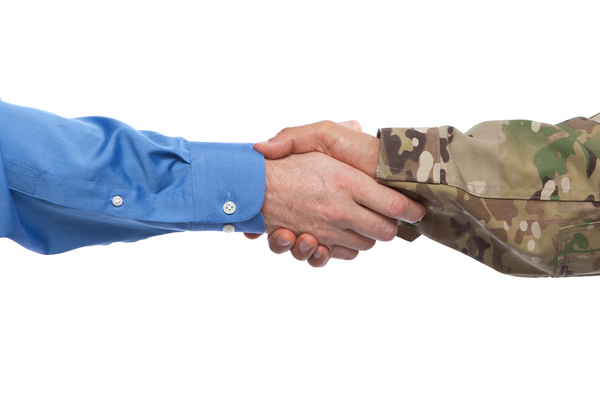 For veterans, there are several benefits and discounts for signing with the company. The initial franchise fee is discounted by 20%. Additionally, the training fee is waived. For advertising, they offer veteran-owned business marketing assets and web banners. To top it off, they offer travel discounts for military customers. Convenience stores have been around for many years, continuing to expand throughout the world. 7-Eleven began in 1927, selling ice to customers. For this company, veterans receive 10-20 percent off the franchise fee. Which is significant when the average cost begins at $10,000. In addition, these stores have consistent revenue incoming for business owners. The franchisor offers special financing for veteran-owned locations to start the business. For the ultimate garage, Snap-on Tools wins the favor of almost any MacGyver. The company began with a wrench that had different-sized sockets that were interchangeable. Now, they sell over 22,000 different tools that they deliver to their customers. One of the biggest incentives for veterans to start this business is the inventory discount. They receive $20,000 of their startup inventory when they sign up. A rapidly growing pizza chain, Marco’s Pizza is located throughout the United States. The business has locations in 35 states. For a veteran-owned location, they offer $5,000 off the initial franchise fee. Consequently, it’s no wonder that almost 20% of the businesses are run by former military personnel and projected to grow. Everyone knows what UPS does for the community. One of the top shipping companies in the United States and Canada. This helps new franchise owners develop business easily due to the reputation. For veterans, they offer $10,000 off the initial franchise fee. Additionally, there’s 50% off the application fee. This allows new owners to save money up front and helps them get started without as much debt. Anytime Fitness is open 24 hours a day due to the security system of the buildings. This gym is fitting for veterans due to the hectic schedules and training they endured. Additionally, this would be a great environment to utilize their leadership skills to effectively manage a team. The company offers 20% off the franchise fee to veterans. The fee runs anywhere from $18K-$35K, which is a significant discount. The variety of franchises offering military discounts is significant. Sports Clips specifically tailors to men’s haircuts. They offer an exceptional experience for their clientele in the salon. The company discounts their franchise fee by 20 percent. Thus, it matches other franchises on our list. Yet another pizza chain offers great discounts to our veterans! Papa Murphy’s makes pizzas for customers to take home and bake themselves. This allows the locations to expand easily throughout the United States. However, unlike the other businesses on this list, Papa Murphy’s offers a discount on royalty fees for veteran-owned locations. The royalty fee is a recurring payment/percentage that a franchisee pays to the franchisor. This means they save money over time. All of the above franchises offer great deals for military personnel. DetailXPerts, an eco-friendly auto detailing company, extends specials for veteran-owned locations as well. Check us out today!